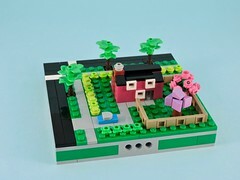 It’s hard for me to resist the seasonal sets that LEGO® puts out. Though I’m not much of a Christmas celebrator myself, I couldn’t pass up the pair of vignettes that they released for the holiday. This week, we’ll tear into the first one (based on set number): 40262 Christmas Train Ride. The seasonal sets come in a nice, compact box that maintains a very pleasant heft for a $10 set! They’re designed to make great little gifts too, with a spot in the corner to scribe a tiny message. Opening the box, we find three bags of elements and a folded instruction booklet. 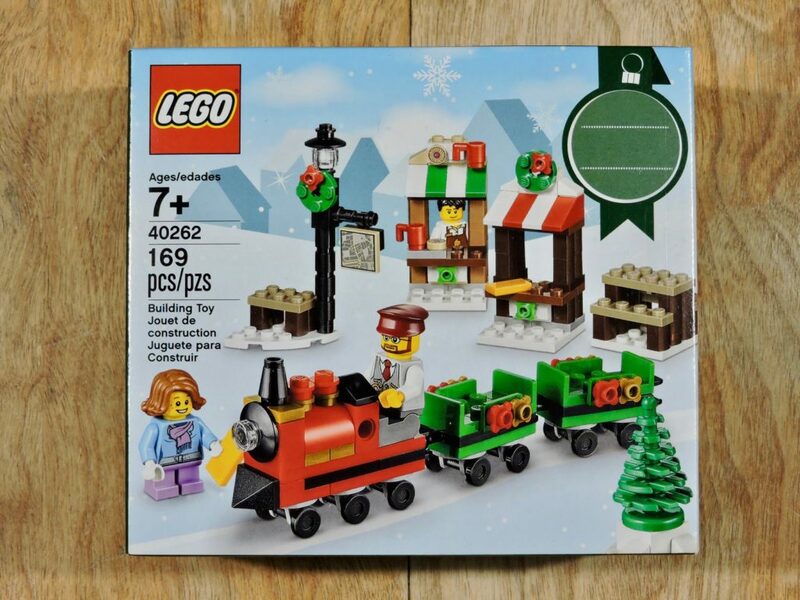 Easy to see that this is a Christmas themed set from the palette alone. No new colors or elements in the set, but a few nice uncommons. This is a nice score for those warm gold flower plates, as they have mostly appeared in larger sets or in smaller quantities. That printed map tile has been around since 2013, but is still rare enough that this is the first time I’ve ever seen one. This is only the third set to contain those dark brown palisade bricks. 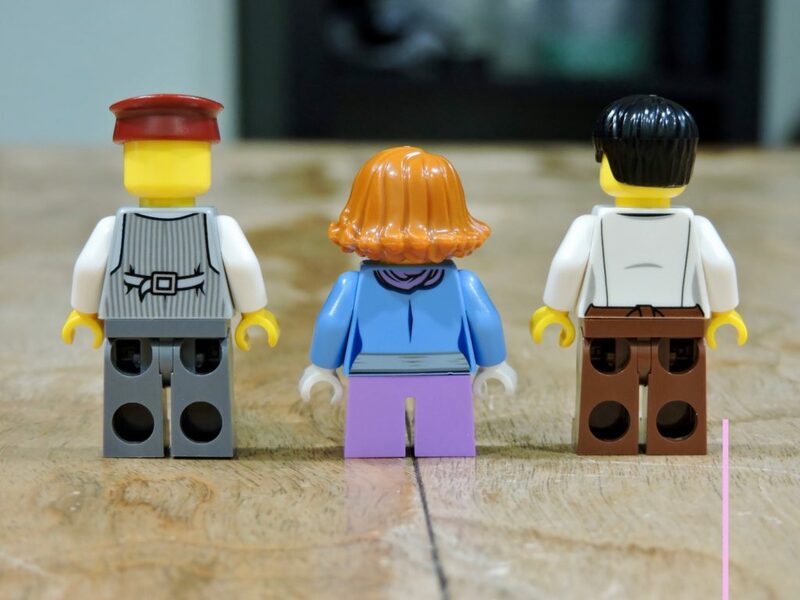 The minifigs in the set are nice too, especially since there are three of them in such a small set. The conductor and the little girl are a fairly common mix of elements, but the barista is new. 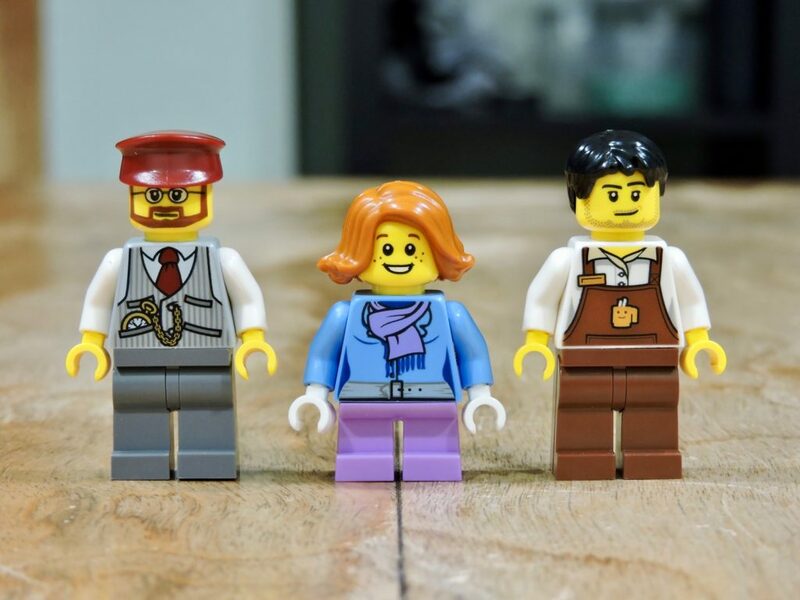 At first I thought he was the same as the barista from the LEGO Movie CMF series, but not quite. The logo on his apron is the same though and he could easily pass for another employee in the same shop. 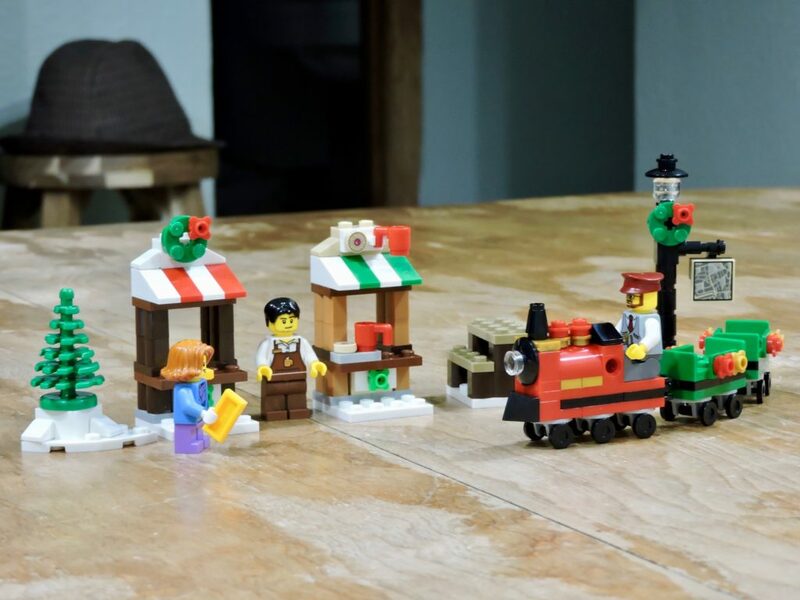 A great find for Town and Train builders. All three torsos have back printing, but nothing too fancy. The finished build, much like the other seasonals this year, is made up of a number of smaller sections. 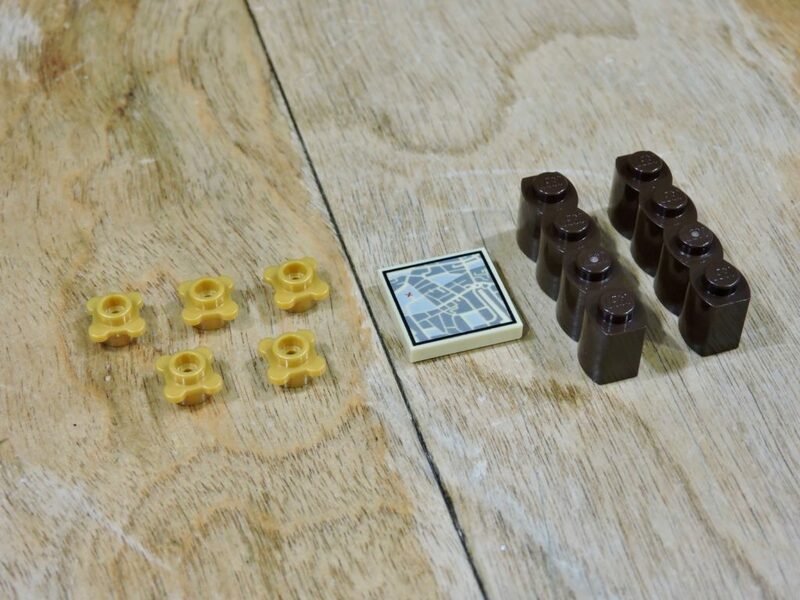 This allows them to be arranged and rearranged to fit your display. 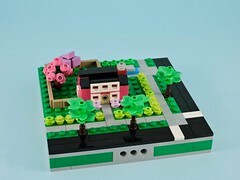 I have a few tiny quibbles about the design, but all in all it is a satisfying build. No exciting techniques, just stacking elements and the tiniest bit of snot. 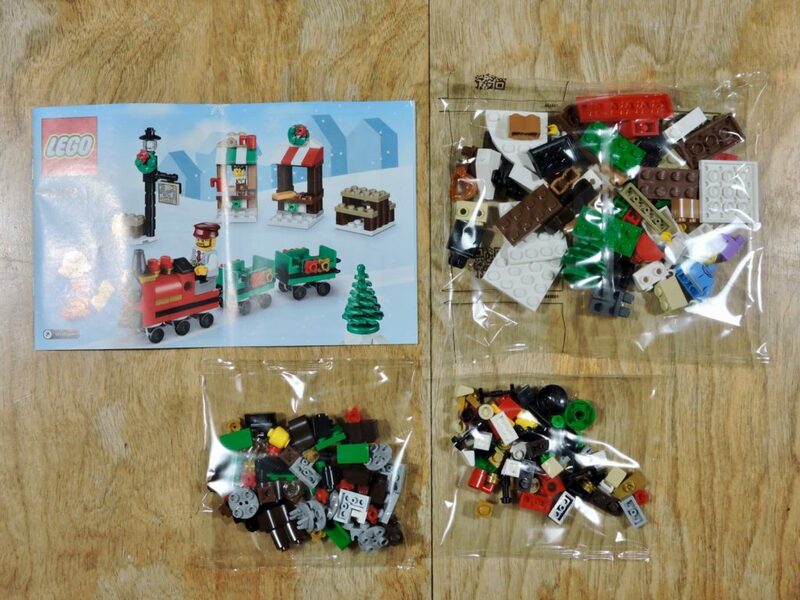 There are a wealth of extras parts! This is a fine little set. It hits the sweet spot of holiday decorations and includes classic tropes like the miniature holiday train. 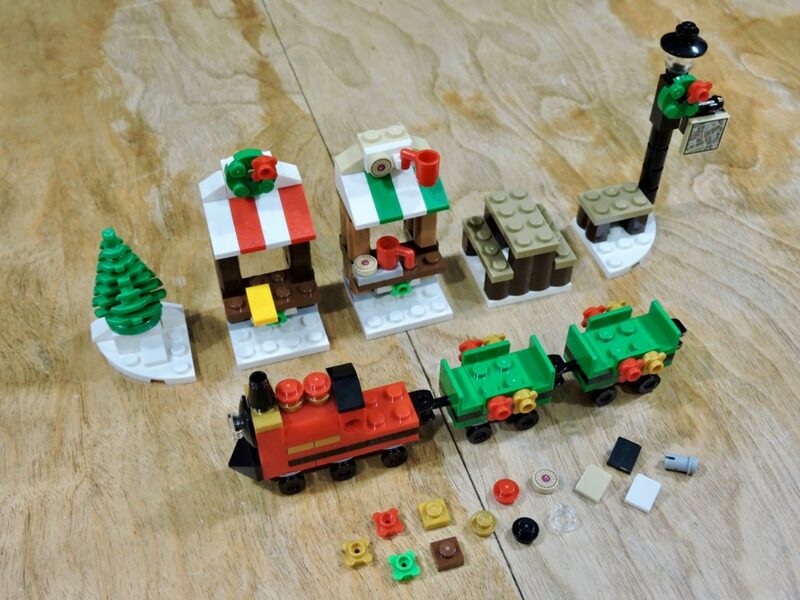 In addition to making a fine element of a Christmas display, this is a great parts pack (6¢ per piece), though all those wheels might be a bit excessive!